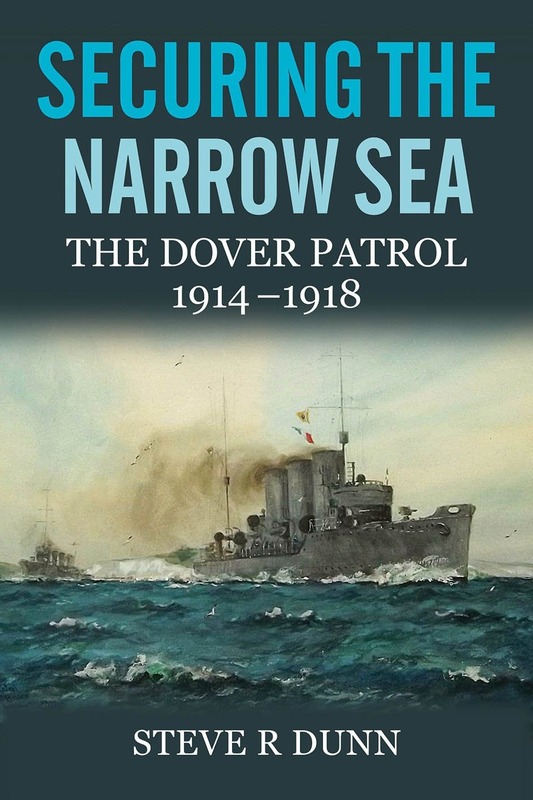 Steve Dunn’s Securing the Narrow Sea tells the complete story of the Dover Patrol and its three remarkable commanders: Horace Hood, Reginald Bacon, and Roger Keyes. This was a war of mines, submarines, boats and small craft, aircraft, and specially designed ships, notably the big-gun monitors, and it was a war of ships against land. British goals were complex: to support the seaward flank of the Western Front, to bar the Dover Straits to the passage of U-boats, to attack them in their Belgian coast bases, and to guard against night destroyer raids on Channel shipping and their own anti-submarine forces. British and French destroyers were sent to Dover to cover, with the pre-dreadnoughts of the Channel Fleet, the transport of the British Army to France. When Hood took command in Oct. 1914 after the fall of Antwerp his main problem was supporting the seaward flank of the Allied armies as they maneuvered to forestall the German “Race to the Sea” and capture of the Channel ports. At first the light artillery of his destroyers and old gunboats was very effective against troops in movement among the coastal sand dunes, until the Germans pushed them out of range by emplacing heavier guns in fixed fortified positions. Hood experimented with pre-dreadnought battleships, but their deep draft and vulnerability to mines and torpedoes led Hood’s use of three river gunboats building for Brazil, predecessors of the large class of big-gun monitors: big, crude barge-like craft with shallow draft, deep anti-torpedo bulges, painfully slow speed, and huge guns – up to 18 inches! The three best of them still served in WWII. But as the front stabilized a new problem developed, as the Germans began to use the Belgian ports of Ostend and Zeebrugge as their main U-boat bases, and the Channel as their shortest route to British shipping. The obvious solution was to bar the narrow, shallow Dover Straits with mines and nets. But they proved only partially effective; they caused the U-boats substantial trouble, just not enough to relieve their toll of British merchant shipping. Hood was replaced in 1915 by Reginald Bacon, a figure rather like Rickover in the USN, a remarkable mind with a gift for applying engineering to naval problems. He oversaw the introduction of the submarine into the RN, and the RN’s first experiment with the rigid airship, was the first commanding officer of HMS Dreadnought, and his design of a mechanical tractor to move super-heavy artillery in the field contributed much to the invention of the tank. He applied his inventive imagination to the improvement of the anti-submarine barrier, the bombardment of the U-boat bases, and – his own brainstorm – a landing behind German lines using specialized landing craft in the form of huge “pontoons” pushed by monitors. 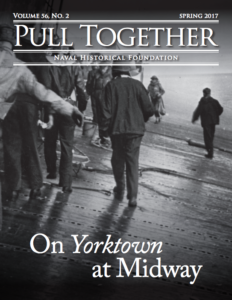 His own “Dover Patrol” book is available on the internet and is well worth a look, with many photos and diagrams of little-known naval craft and technology. In particular, Bacon worked very hard on the problem of hitting the sub bases with long range fire from super-heavy guns, but the problem was perhaps simply not solvable. With air spotting the guns could easily hit the dockyard areas, but direct hits on the lock gates or submarines were required. The number of shells necessary to yield a hit according to the law of averages could be calculated, but in spite of numerous near-misses, the direct hits eluded them. So did genuine success with the anti-submarine barriers, in spite of constant experimentation. Bacon’s failure to stop the regular passage of the U-boats into the Channel – and his refusal to admit that he was doing anything wrong – led to his replacement by Roger Keyes, a fiery man of action rather than an intellectual. He commanded the submarines at Heligoland Bight and minesweeping trawlers at the Dardanelles; in WWII he served as liaison to King Leopold III of Belgium, then as “Director of Combined Operations,”– meaning commandos. His modifications to the submarine barrier made it work, and he initiated raids on the sub bases with the object of landing troops to take out their defenses, then blocking their exits by sinking old cruisers in them. These raids were heroic, bloody, and technically ingenious but unsuccessful, and come in for serious criticism by Dunn. This book can hardly be recommended too highly. It is clear, comprehensive, and many-sided, impeccably researched and documented yet eminently readable. It is absolutely fascinating and required reading for anyone interested in anti-submarine warfare, inshore warfare, and naval engineering. It tells the story of an area of sea warfare in WWI which was hard fought, vital, and once famous, but which has now fallen into obscurity. The careers of Hood, Bacon, and Keyes also reward study, as gifted naval commanders able to understand land warfare and exploit novel technology – both essential to secure the narrow seas. By Steve Dunn, Seaforth Publishing, Britain. (2017). Reviewed by Robert P. Largess. 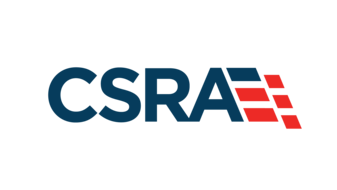 Robert P. Largess is the author of “USS Albacore: Forerunner of the Future”, and articles on the USS Triton, the SS United States, the history of Lighter-Than-Air, and the origin of the towed sonar array. 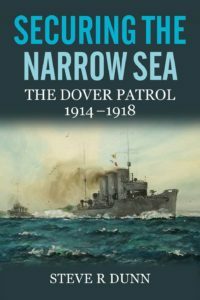 Buy Securing the Narrow Sea: The Dover Patrol 1914-1918 now!